The design for structure and glazing of a catenary steel gridshell for the Chadstone Shopping Centre in Melbourne. The roof structure is glazed with quadrilateral panels of varying sizes. The highly efficient double curvature of the gridshell covers an area of approximately 7000 sqm and spans up to 32m. Bespoke software has been developed in-house for this project to create a roof form that combines an efficient form, planar fabricable panels and an elegant boundary. 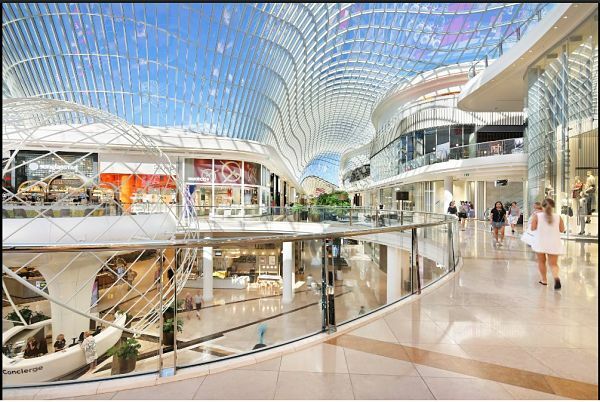 The Chadstone roof is the first freeform gridshell roof in Australia.